What are the Signs and Symptoms of Adderall Addiction? Am I Addicted to Adderall? Is Adderall Addictive? How Addictive is Adderall? Adderall is a central nervous stimulant medication meant to treat symptoms of hyperactivity and impulse control. In addition to being prescribed to treat attention deficit hyperactivity disorder (ADHD), it has sometimes been used as a treatment for narcolepsy. Someone using Adderall for something other than a diagnosed medical condition may be at risk for becoming addicted to it. Because of its stimulant properties, someone addicted to Adderall may appear nervous, restless and more alert than usual. A user may experience changes in appetite and sleep and experience weight loss and insomnia as a result of abusing Adderall. Serious side effects of Adderall abuse can include hallucinations, mania, and aggressive behavior. Adderall addiction will also negatively impact a person's social and occupational obligations and relationships. Taking Adderall recreationally, without a prescription or in amounts above those prescribed all constitute prescription drug abuse, and increase one's risk for dependency and addiction. If you find yourself taking more than prescribed or taking more to achieve a desired effect, you may rapidly build a tolerance to the drug. If you experience cravings to use Adderall and spend a lot of your time getting, using and thinking about it, you are already experiencing classic signs of substance addiction. There is often a small window of time and opportunity from when a person commits to seeking treatment to when they are admitted into a treatment program. Because of this, it is beneficial to have a treatment facility picked out, to eliminate any potential barriers once your loved one agrees to get treatment. These barriers may include the cost of treatment, room availability at the treatment facility, transportation to the facility and/or re-emerging denial that treatment is needed. It is important to be prepared for excuses of why your addicted loved one cannot go into treatment, such as needing to go to work, pay bills, take care of animals, etc. The key is to take care of these concerns on the addict's behalf, to minimize the excuses used to avoid treatment. Understandably, there are many factors to evaluate. Although a thorough assessment can increase their chances of seeking treatment, it may seem an overwhelming process to navigate alone. You are not alone; please call us at 1-888-993-3112Who Answers? 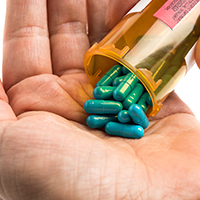 to find out about Adderall treatment options that are suitable for you or your loved one. An intervention is a process in which people meet in an attempt to encourage a loved one seek help for their addiction. Friends and family members who are impacted by the addiction and who may increase the chances of a successful outcome should be invited to participate in the intervention. Someone who is using with the addict, such as a significant other, should not be invited to the intervention as they may hinder the addict from accepting help. Friends and family members may start by sharing how the addict's behaviors have impacted not only the addict but them as well. Research indicates that creating a plan for treatment with precise steps, goals and guidelines is very effective in enabling a loved one to seek help. Then friends and family members can share how their loved one's potential refusal can negatively affect their lives. An Adderall addict may seek recovery in a Twelve Step support group such as Narcotics Anonymous. Because addiction is a disease that impacts the whole family, it will be necessary for friends and family members to seek help, as well. The Twelve Step support group Nar-Anon is a recovery program for friends and family members of addicts. This support group allows the addict's friends and family members to work the twelve steps and seek to improve their lives whether or not the addict is still using. For this reason, Nar-Anon can be especially beneficial if the addict were to experience a relapse into active Adderall use. Many treatment programs will provide information about various outlets for support such as Nar-Anon to family members, as participation in such programs can serve to strengthen the recovery process for everyone involved. Just as the addict can relapse, friends and family members can experience relapse by returning to behaviors that previously may have enabled the addict to continue using before they got help. Parents of Addicted Loved-ones (PAL) is a non-twelve-step group that provides education and support to parents. There are different treatment programs and levels of care available for someone who is addicted to Adderall to receive help. If a user was prescribed Adderall to treat a diagnosed condition but became addicted to it, it is important that the prescribing doctor is aware in case there are alternative medications available to treat the condition. The doctor prescribing the medication may also be qualified to help treat the addiction on an outpatient basis. A licensed or certified substance abuse counselor can provide therapy on an outpatient basis, individually or in a group setting. Withdrawal symptoms from Adderall can be unpleasant, but relatively mild and manageable - as such, many successfully recover from Adderall addiction at the outpatient level of care. Research has shown cognitive-behavioral therapy (CBT) to be the most effective treatment approach for addiction. Users who are prescribed Adderall may feel their use is justified by having a prescription and believe it is not that serious. CBT seeks to recognize and challenge dysfunctional thoughts like this, which is effective in preventing relapse. CBT also provides clients with behavioral strategies such as coping skills for cravings, relaxation training and contingency management (CM), which encourages positive behavior with positive reinforcement. You can begin a search for treatment for Adderall addiction by accessing web resources like the Substance Abuse and Mental Health Services Administration (SAMHSA) website, www.samhsa.gov and clicking on the link that says "Find Help." You can then click on the link for a behavioral health treatment services locator, which will allow you to put in your zip code to search for local treatment facilities. After you press the search button, you will be brought to a screen that allows you to limit your search to substance abuse treatment facilities. The decision for the right Adderall treatment type is quite personal and depends highly on an individual's specific situation. The process can be aided greatly by the advice and direction of a qualified addiction treatment professional. Many recovery facilities will allow you to go directly to their website where you can view offered services. Look for services that mention treatment for prescription or stimulant addiction. Additionally, you can speak with one of our treatment support team members for more information about Adderall treatment or rehab facilities near you; please call us at 1-888-993-3112Who Answers? today.